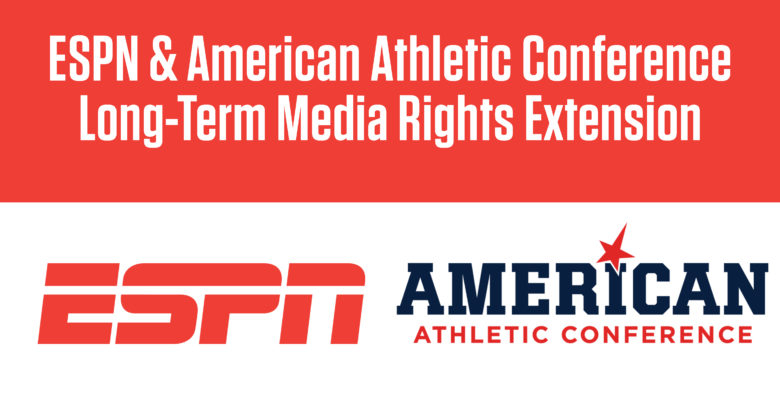 ESPN and the American Athletic Conference have reached a 12-year extension for the conference’s global media rights. The extension begins with the 2020-21 academic year and goes through 2031-32. Many events will be available through ESPN+, the direct-to-consumer version of ESPN. The entire men’s basketball conference tournament and multiple rounds, including the championship game, from the women’s basketball conference tournament. First pick of the remaining Navy-controlled football games each year (excluding any games versus Army and Air Force). More than 500 conference controlled events in 2020-21 with nearly 400 of those events being football, men’s and women’s basketball and American sponsored Olympic sports championships. The overall number of events will ramp up to 750 the following season and then more than 1,000 events annually beginning with the 2022-23 season. Starting in year one and through the duration, football and men’s and women’s basketball will make up approximately 330 games per season. 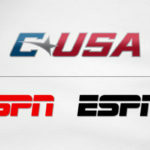 Beyond select Navy football games and select men’s basketball games, all conference controlled football and men’s basketball games from The American will air on an ESPN networks or ESPN+. All women’s basketball controlled games will also be carried across ESPN’s platforms. Burke Magnus, ESPN Executive Vice President of Programming and Scheduling: This long-term, multifaceted agreement with The American allows us to build upon our existing relationship and deliver a comprehensive, end-to-end exposure solution to the conference for all their content. On our television networks, The American will continue to be a significant and consistent component of our industry-leading college sports portfolio. 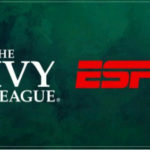 The thousands of events from the conference we plan to showcase on ESPN+ will add to a robust programming lineup that includes a vast array of other college sports events, UFC, MLB, NHL, Top Rank Boxing, first-tier soccer from around the world, plus high-quality original content and on-demand offerings. We are thrilled to showcase the conference across our platforms and thank American Commissioner Mike Aresco and its member institutions for the collaborative effort to further enhance its brand’s national exposure. At least 40 regular season games per season, including at least 20 on ABC, ESPN and ESPN2 which represents increased annual exposure across those networks versus the current agreement. A similar number of Thursday, Friday and Saturday games. Conference Championship game on ABC or ESPN each year. At least 65 regular season games per season, with at least 25 across ESPN and ESPN2. Complete annual coverage of the Conference tournament across ESPN, ESPN2 and ESPNU, including the Conference Championship game on ESPN. At least 13 regular season games per season, with a minimum of five on ESPN and ESPN2. 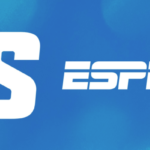 As part of the agreement, all ESPN+ events will be produced and branded as the American Digital Network, and accessible to fans of the Conference alongside live streamed events from ESPN networks and other related video in an American-branded landing page on the ESPN App, providing a one-stop destination for fans to view conference events. 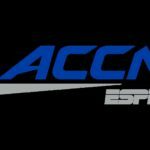 The content will also be served to fans who select The American Conference member schools among their favorites in the ESPN App. ESPN also is committed to enhancing The American’s brand during all of its TV Network telecasts.